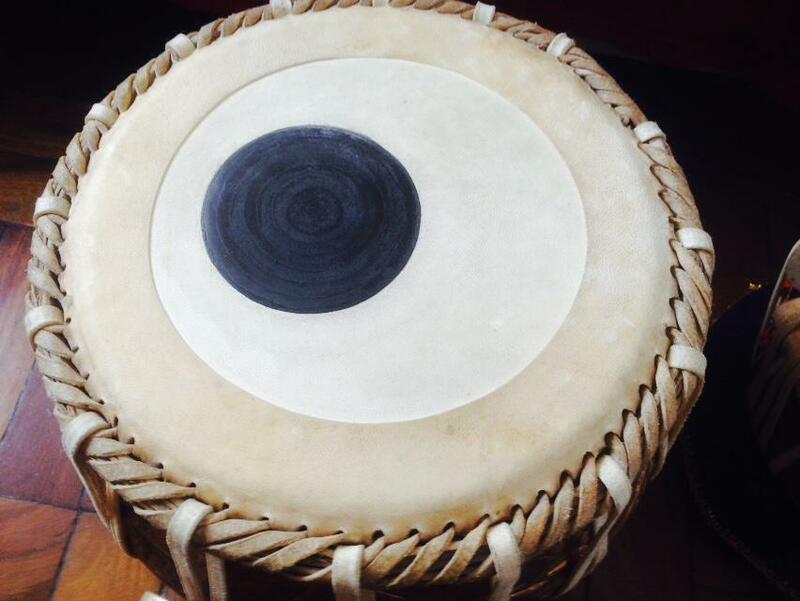 chandrakantha.com > Categories > PERCUSSIVE INSTRUMENTS > Help a newcomer! Hello, fellow lovers of Indian Music. The thing is that I can't seem to extract proper sounds from it (or I'm not sure if they are the proper sounds)... The treble one has three straps over each gatta already. 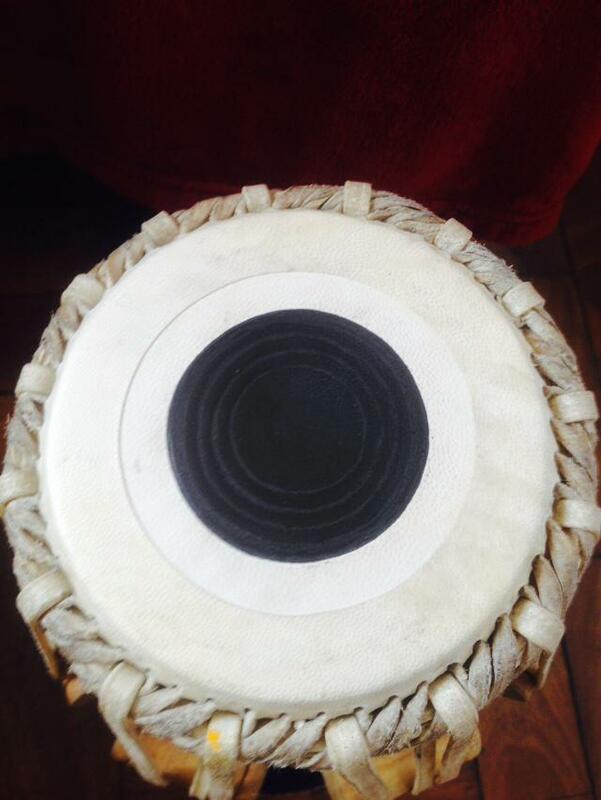 I don't know anyone who could teach me or tune my tabla. Even sitting is a problem for me, since I can't mantain a stance without getting my legs tingling a lot after a short while. Would anyone be willing to chat with me over skype just to cover up some really beginner subjects? I'm frequently watching videos about basic bols, but I'm never sure if I'm actually performing them, and my finger placement is really something (I can't do Na, and my ring finger actually mutes the sound when placed on the edge of the syahi, and I'm not sure about Ge as well, since it seems that the two fingers are creating different sounds)... I already play quite a lot of other percussion and non-percussion instruments, so I feel I just need a first push so I can start executing paltas and kaidas properly. If there's any good soul who could help me, I'm really interested on it, but I can't afford classes, and here the only teachers are quite expensive, mostly because of how exotic Indian culture is, and because of demand. Hi Mariano, tabla seems good. 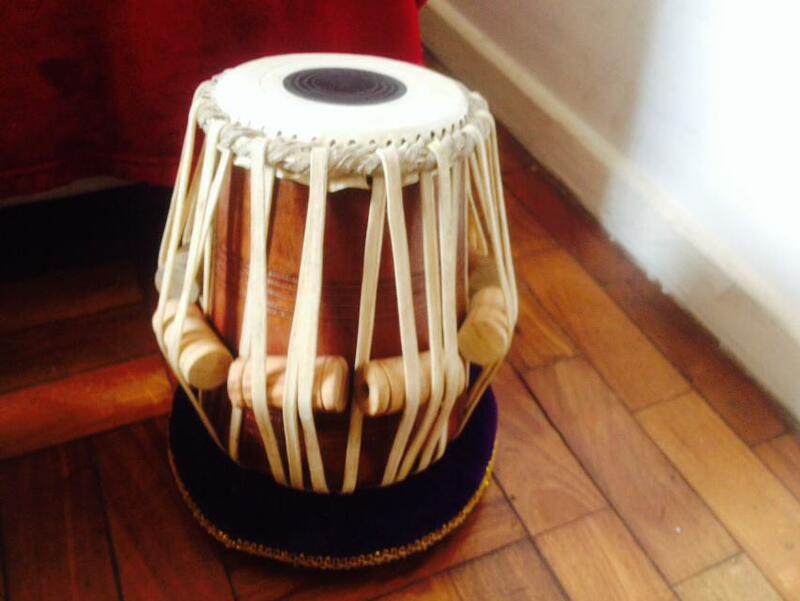 It is very difficult to extract/make proper tabla as a beginner so that is normal that you can't make them. One of the best qualities you could have as a beginner is a strong desire to learn (i.e. practice daily even if just 20 or 30 minutes and be consistent) and have a lot, lot of patience (as for a kaida to start sound anything that even resembles music it may take anything from one to three years). Also, since you live very far away from anywhere you could readily buy a new tabla, or just skins, it is paramount that you learn to tune and keep your tabla as well tuned as possible and away from high humidity/very high or very low temperatures or sudden changes (of temperature). I think David has some good articles on tabla tuning/maintenance here on this site. Check it out. 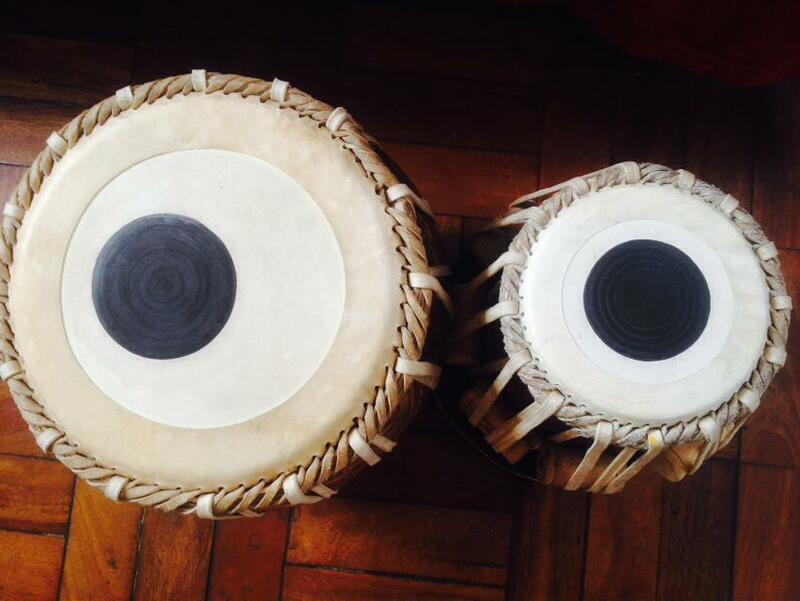 And no matter what experience you may have (percussion etc) you must have/find a tabla teacher if you are serious and what to learn properly. There are just not two ways about it. Procura por "shivadhyanam" no Skype pra falarmos mais se quiser.